Print your custom step and repeat banner for your next big event or trade show. Our 8ft x 8ft backdrop banner stand ensure the perfect photo every time and are great for weddings, parties, anniversaries, proms, graduations and more. 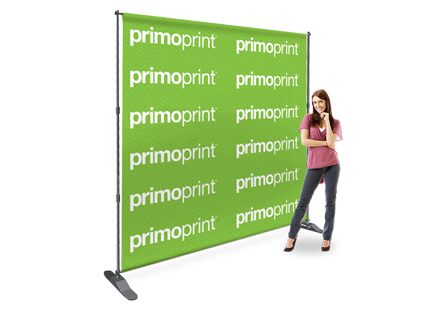 These 13oz backdrop banners are durable and are easy to set up and take down quickly. Used for either indoor or outdoor use. Please Select 96" x 96"